I’m excited to announce the publication of “Stories for the Dead of Night,” an anthology, by The Seven Fates Writers. Five of the most serious, yet entertaining writers in Indie have joined forces to bring readers a variety of well written short stories, in various genres. Yes, I’m one of the five! 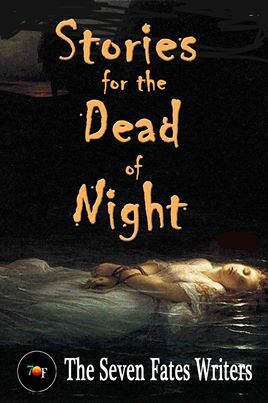 “Stories for the Dead of Night” contains 19 unique tales of ghosts, secrets, nightmares and the supernatural, tossed with slices of flash fiction and sprinkled with wistful poetry. Some stories have been previously published, but there are plenty of new ones, too. The Seven Fates Writers are: Catherine A. MacKenzie, Robert L. Arend, Jennifer J. Arend, Karen Black and Brittany Joy Chadwick. → You can read anywhere! ← Thank you to every reader who posts a book or story review!